This entry was posted on Monday, February 3rd, 2014 at 8:53 am	and tagged with Edge of the Empire, gaming aids, jedi, SpaceCore, stat blocks, stormtroopers and posted in gaming aids. You can follow any responses to this entry through the RSS 2.0 feed. Wow, great work, Eric! Would love something as beautiful as this for ships, too. And since we are talking about cards. Last nite I played Eldrich Horror. The “condition” cards are very nice. 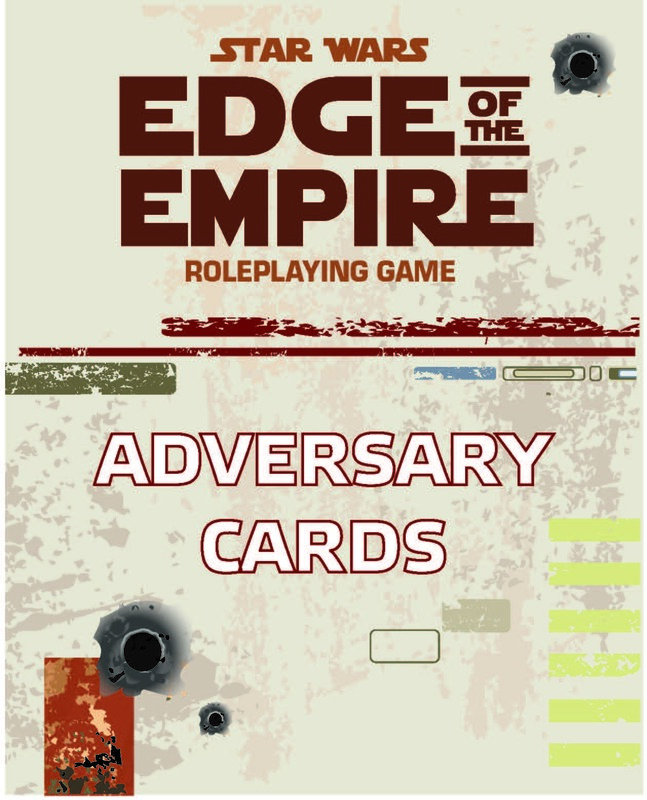 I think it would be helpful for EotE GMs to have a few of those as well. Dazed, Stunned, prone, etc. These are fantastic! Any chance you can post the source so we can create custom cards? I have printed these six per page with the cover page as the back of each card – they look great laminated. Being able to type up my own custom cards would be perfect.. Fantastic Work all around, I was wondering if Eric ever completed the ship cards? Looking forward to the new updates for Force and Destiny. Nah, I haven’t seen anything from him directly, though it’s possible that Eric posted them in another venue.